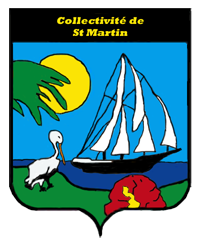 Sint Maarten's coat of arms is made up of a shield with a rising sun above, and the island motto displayed on a ribbon below. The Sint Maarten courthouse is displayed in the middle of the shield, with an orange-yellow sage (the national flower) to the left, and the border monument to the right. 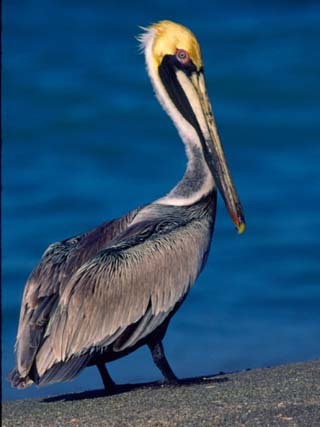 Flying above the shield, in front of the sun, is a brown pelican (which is the national bird). 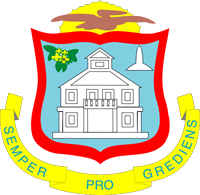 Motto: Sint Maarten: "Semper pro grediens" "Always for progressing"